Everyone keeps dangerous secrets but these secrets are even more dangerous during wartime. Four teens – Florian, Joana, Emilia, and Alfred – are surviving WWII but just barely. Their secrets are threatening to surface and cause great trouble. Through a twist of fate and luck, the four find themselves on a ship that could mean their freedom, if their pasts don’t catch up to them first. 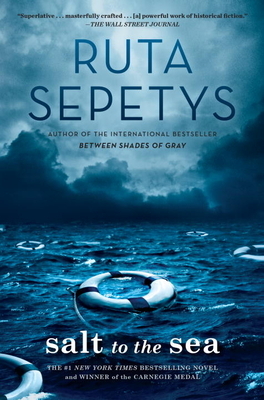 Ruta Sepetys mixes romance, history, and suspense in such a way that you won’t be able to put the book down. Salt to the Sea is this year’s must read!